Devas Designs was thrilled to see some regular exhibitors alongside newcomers at The Decorative Antiques & Textile Fair in Battersea Park last week. The fair included a very eclectic mix of stunning antiques and decorative items from France, Italy, Sweden, Spain, the UK and beyond. The fair originally started in 1985 and is now a major annual fixture on our calendar, a must-see event which covers everything from textiles, and furniture to ceramics and paintings. We were glad to see some regulars are back again plus some new exhibitors. The Fair is always a very exciting show and as you will see from some of the items we have picked out, this one did not disappoint. We were particularly attracted to some of the luminous glass wear from James Miles Ltd such as this blue glass vase and this stunning pink glass dish. We were also drawn to their collection of Poole Pottery. We loved the elegant lines of this 1958 mid-century chair by Arne Hovmund-Olsen. The graphic impact of this piece is reminiscent of the Vienna Secessionist work of Josef Hoffman. We were also drawn to this vase from Justin Evershed Martin, crafted by Carlo Moretti who owned an artisan factory in Murano, creating pieces in the traditional manner using glassblowing techniques but adding contemporary design. Da Silva Antiques are based in London, her selection of decorative items and original vintage pieces is constantly updated. We were pleased to find this eclectic range of cushions using antique fabrics, with such a wide selection we will be keeping an eye open for suitable pieces. 3details is another company which surprised us with this work by British artist Peter Woodward, who is both a painter and print-maker. 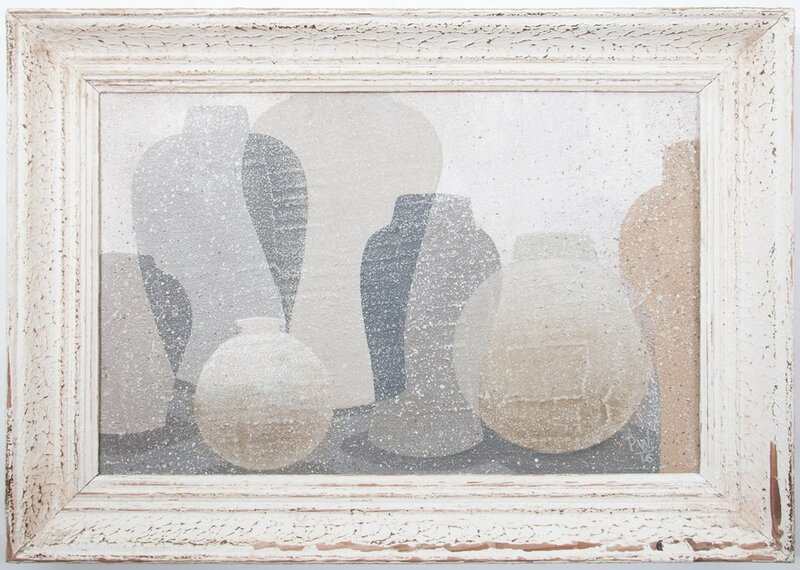 This arrangement of vessels depicted in neutral tones relies, primarily, on the arrangement of form and texture. He sources antique frames for his work, which he painstakingly prepares, so that the frame becomes almost part of the painting itself. These works would lend themselves to both a modern and a traditional interior. 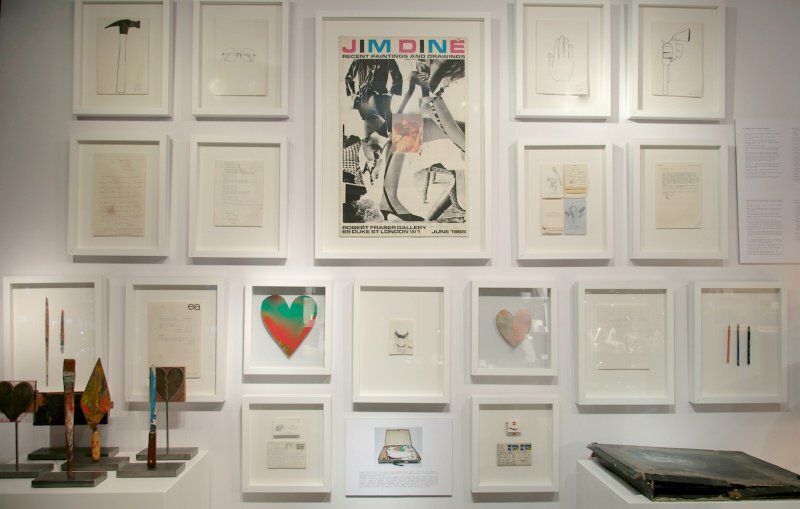 Finally we were fascinated to learn that 3details hold a unique collection of 'rescued' artefacts from Jim Dine’s former London home. Jim Dine is considered to be a pioneer of pop art and part of the Neo Dada art movement, he currently lives in America. 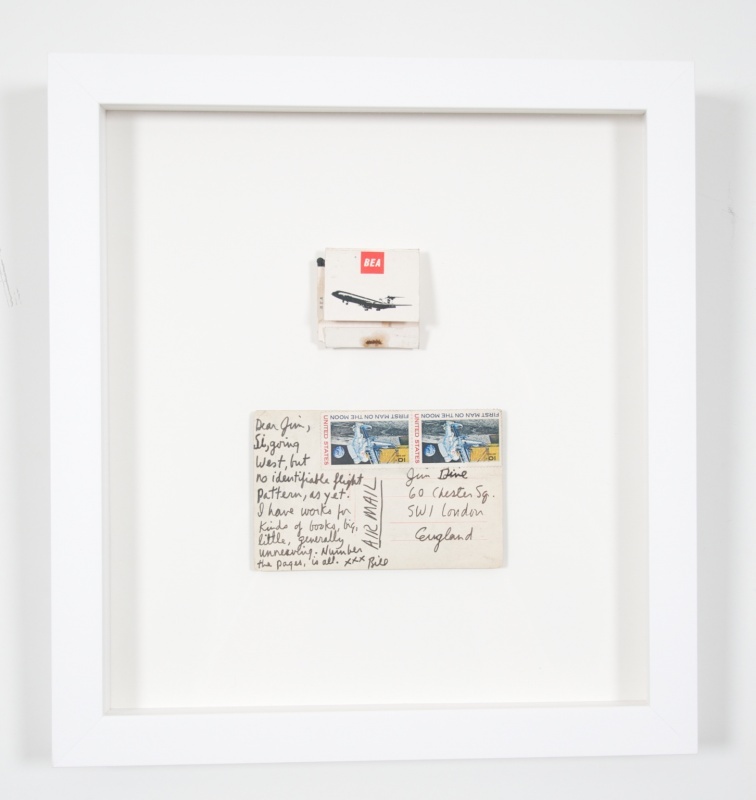 The ‘found’ works, include memorabilia, and artworks and were only rediscovered recently. This is just a small selection from their extraordinary find.